Haven singers and musicians leading the community in musical worship. Haven Berkeley is currently a start-up faith community. We began in the fall of 2014 as a "house church", meeting in Pastor Leah Martens' home for times of group worship, followed by dinner. However, in the time since we have out grown the house, and we now hold 2 services a month at Washington Elementary in Berkeley. Learn more about other regular opportunities throughout the month to connect here. 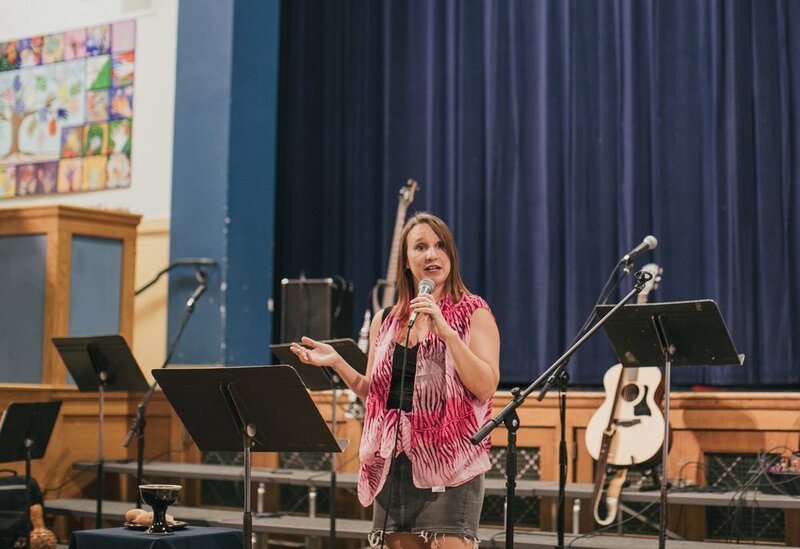 Lead Pastor Leah Martens preaching at a Haven service. Washington School is less than a 10 minute walk from Downtown Berkeley BART. Parking available on site. Lot is located on McKinley, south of Bancroft. Follow the Haven signs. Every Sunday includes a brief time of discussion for those who'd like to process the topic of the morning together. The candle lighting station, where folks are welcome to light candles as they pray for their concerns. What to Expect: Casual dress. We're a very come-as-you-are crew. Free coffee or tea and bagels. (Because morning.) You are welcome to help yourself when you arrive and bring them with you into the service. 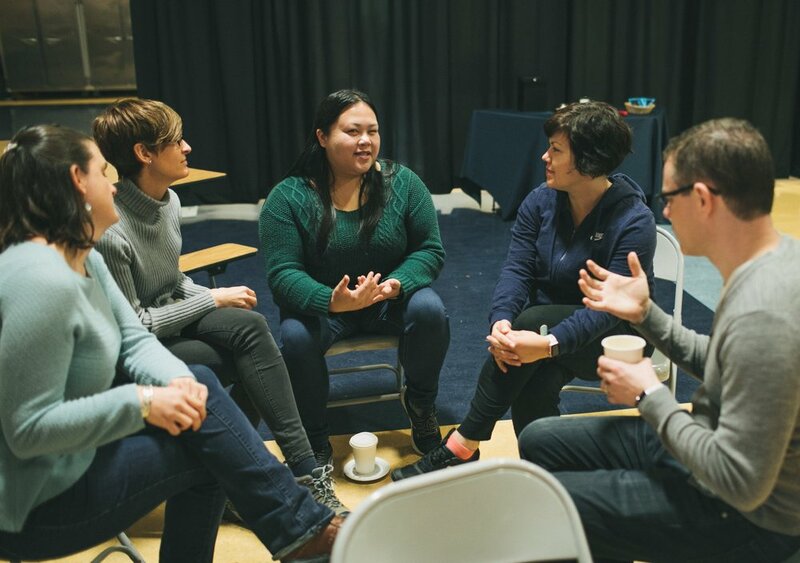 The service itself includes a spiritual-but-practical teaching, and each week there is room for discussion for those who want to participate. 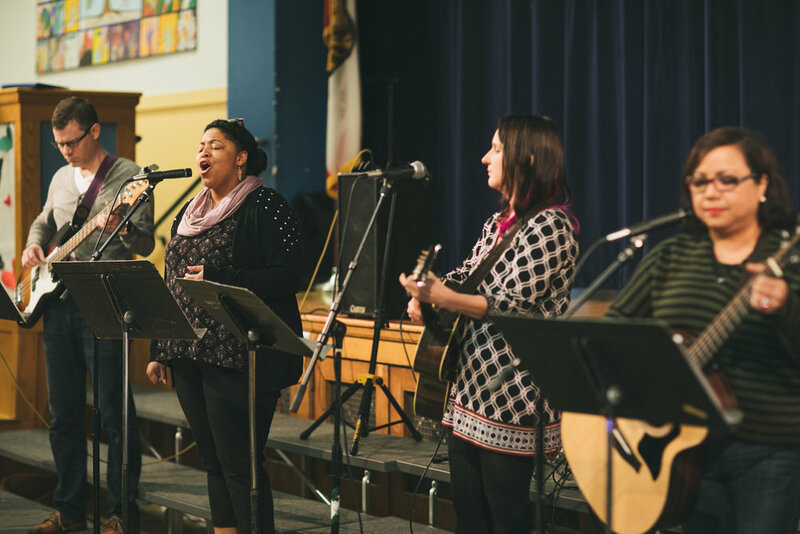 All this is followed by "responsive worship", in which folks are welcome to join in and sing to live musical worship, sit back and listen, receive prayer from a member of our prayer team, or interact with our three Sacred Stations: candle lighting, communion, and the giving station. You can take it at your own pace, and interact in whatever way helps you connect with God and make meaning of the day. Pastor of Children and Families Jill Gidlund teaching a story to Haven Kids. For the Kids: Haven Kids meets in a dedicated classroom during our Sunday service and is for children ages 3-12. Children begin the service with the adults and then are dismissed to begin Haven kids before the morning teachings. Later, children are brought by their teachers back into the service during the last few minutes of musical worship, around 11:50. 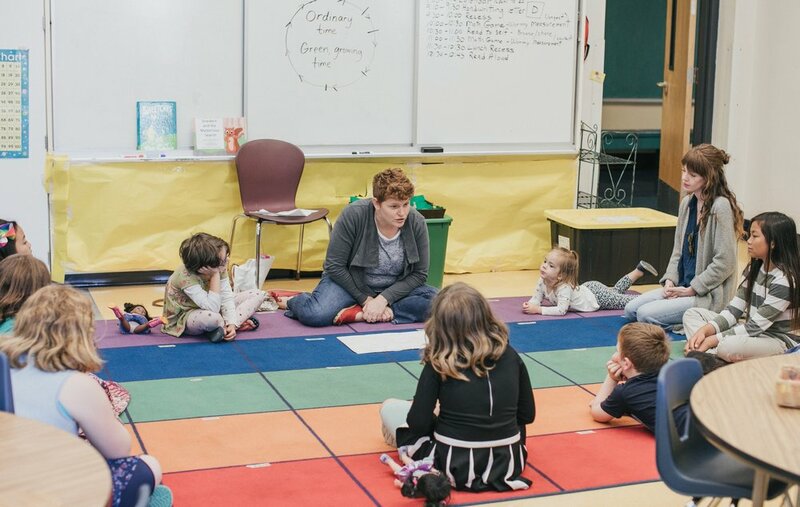 Haven Kids uses Godly Play, a Montessori-based children's church curriculum of storytelling and reflection and is staffed by a combination of parent volunteers and paid childcare workers.